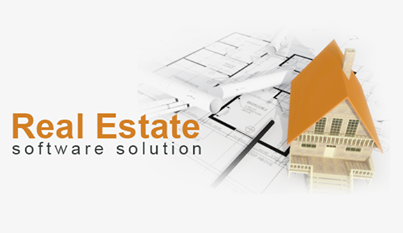 RealERP is an Enterprise Solution designed specifically to cater the real estate business, with a comprehensive and seamlessly integrated set of solutions. Developed in a web based environment, it includes robust functionalities to integrate data and processes from all areas of an organization and integrate it to ease access and make the work flow more efficient, which are considered as a part of the extended high end enterprise application. ERPSoftware System integrates all facets of real estate operation, including sales, marketing, financing, distribution, purchase, inventory, accounting, project management, contractor management, payroll management, planning, human resources, lease and maintenance and other operating units. It integrate operations into a single real-time system which spreads across all sites and departments to synergize the resources of an organization namely men, material, money and machine. It is used as a unified database to store data for the various system modules, which enables interactions of marketing, sales, quality control, products processes, supply lines, stocks and many other areas and it can be in a single database. Its work is to drive the flow of information internally and externally and side by side protecting your critical business data through well-defined roles and security access. The ERP Software System automates business processes and runs all of your key back-office operations and financial business processes, by placing them into a useful format that is standardized and common for the whole organization. It is a cloud based system which provides you with the tools to give a high level of service to manage your real estate business. Thanks for sharing this software information used in the real estate business.